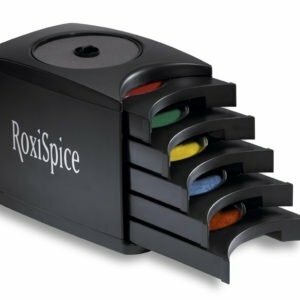 The PERFECT STORM embodies everything that’s great about RoxiSpice and the most value / bang for the buck! Deliver Maximum Visual Impact, Maximum Entertainment, and Maximize Results! 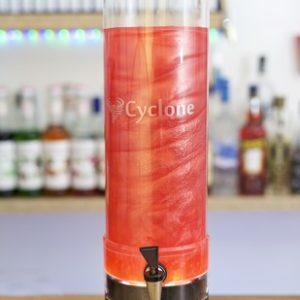 The Cyclone & Rein is how your bar and beverage look. What brings your audience to your bar? 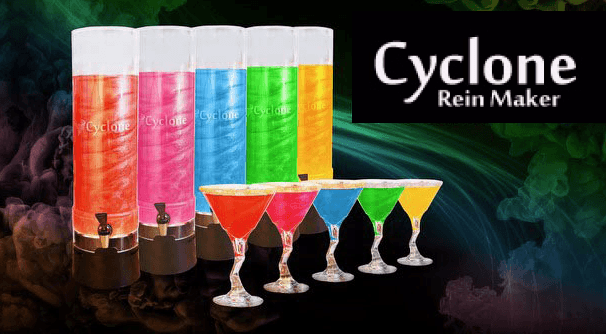 The Cyclones’ super-bright lights, brilliant color, and spinning vortex draw attention to your bar with unparalleled effectiveness. 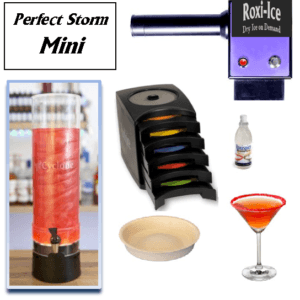 The Cyclone is the most sophisticated magnetically driven beverage mixing, dispensing, and storage device. 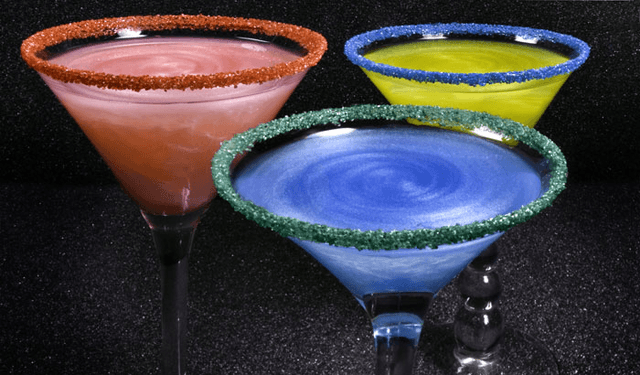 It delivers the most powerful beverage presentation ever. 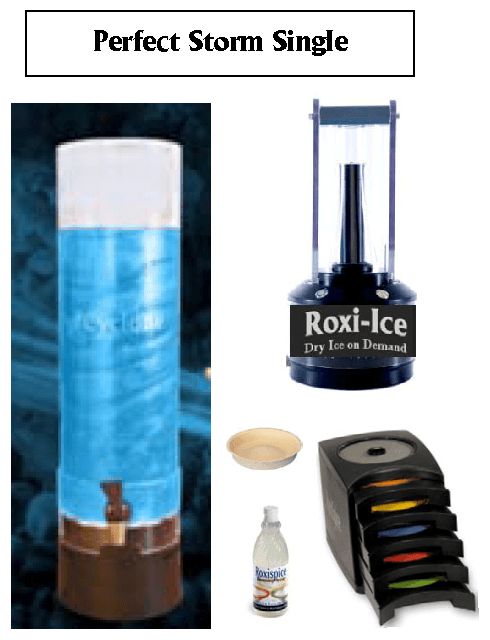 Small foot print, simple to install, use, refill, and clean. 7 Liter Capacity. Note, match the size of your room to the quantity of Cyclones (bigger room = more Cyclones to fill your venue, smaller room = fewer Cyclones). Please right-size your selection. 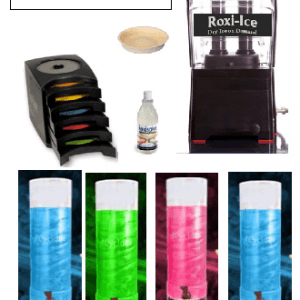 Roxi-Ice Dry Ice on Demand (Single Probe) transforms beverage into energy. 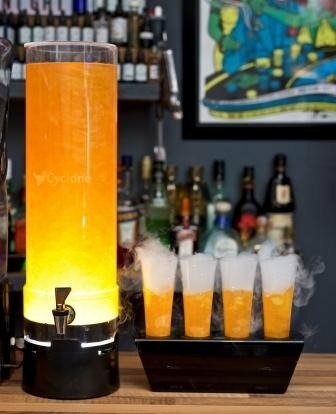 A cloud of Dry Ice envelops your drink in mystery, fun, and perfection. 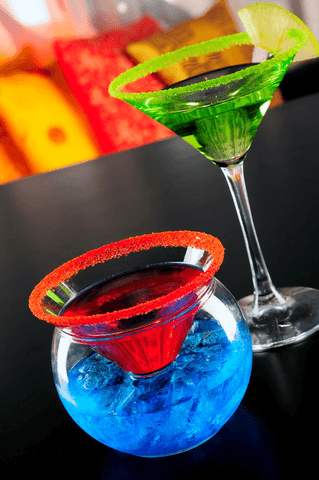 Entertainment engages all senses; you can feel the drink vibrate, see the bubbling action, smell the aroma, and most importantly taste delicious. 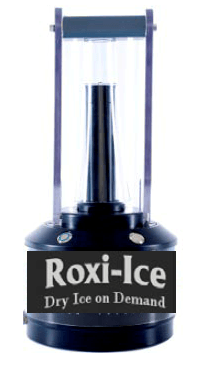 * Single Probe delivers 1 automated Dry Ice charge/serving per 10-15 seconds.